I love a nice cup of eggnog around the holiday season. 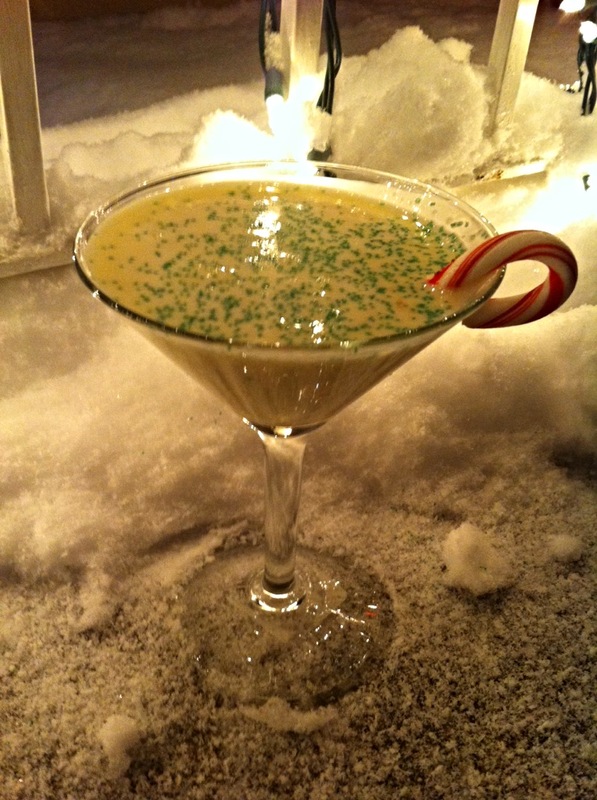 The hubby was trying to come up with another fun holiday drink and of course something with eggnog came to play. Not sure if you ever noticed how many vodka flavors we have in our liquor stores here in the US, but it feels like a cereal aisle of selections (haha). Anyway he decided to use peppermint bark vodka and a nice little candy cane as the stirrer. I decided to add a little more garnish with some green crystals. This holiday drink is sure to be a crowd pleaser at your next holiday party. Enjoy!! What a wonderful Christmas cocktail, thanks!